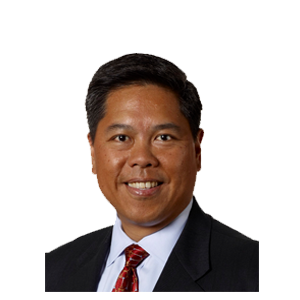 John Espiritu is a co-founder and partner of Laurel Village Realtors. John is also a founding partner of Highland-Ferndale Partners, LLC a real estate investment firm. Prior to this, he was a banker with Western State Bank, United Overseas Bank, and The First National Bank of Chicago. He worked with Price Waterhouse in Los Angeles. He currently serves on numerous boards in the Philippines involved in real estate development, construction, financial consulting, and gaming. He is currently a member and President of The Olympic Club, and Member of Board of Directors of Mission Dolores Academy. He was a former Vice Chairman of St. Mary’s Medical Center Foundation, was a member of the Parish Council of St. Ignatius Church; and was a former member of the Board of The Olympic Club Foundation. John graduated from The University of Michigan with a BBA degree in Accounting and an MBA in Finance. John is an avid golfer. He and his wife, Maria are busy raising five children.